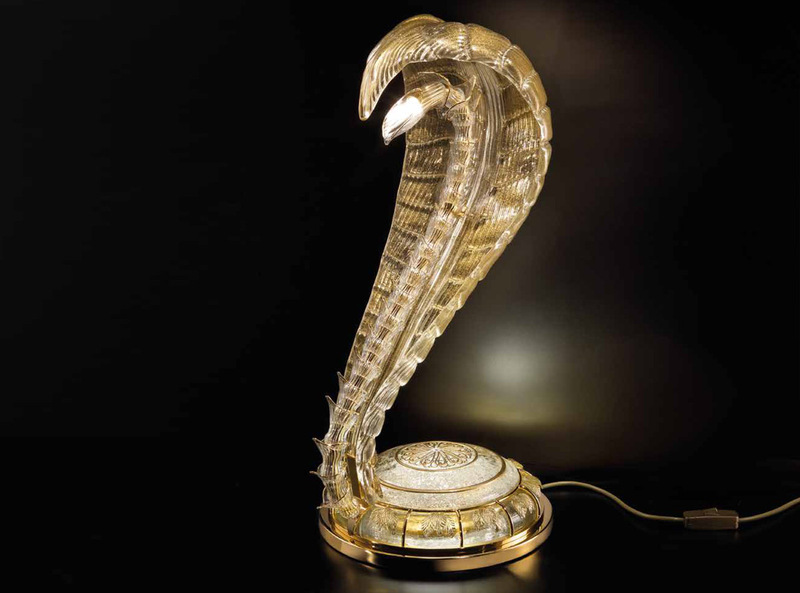 The naga are Vedic and Hindi mythological creatures: snake-gods that have appeared in art and local legends since ancient times, together with greater gods. 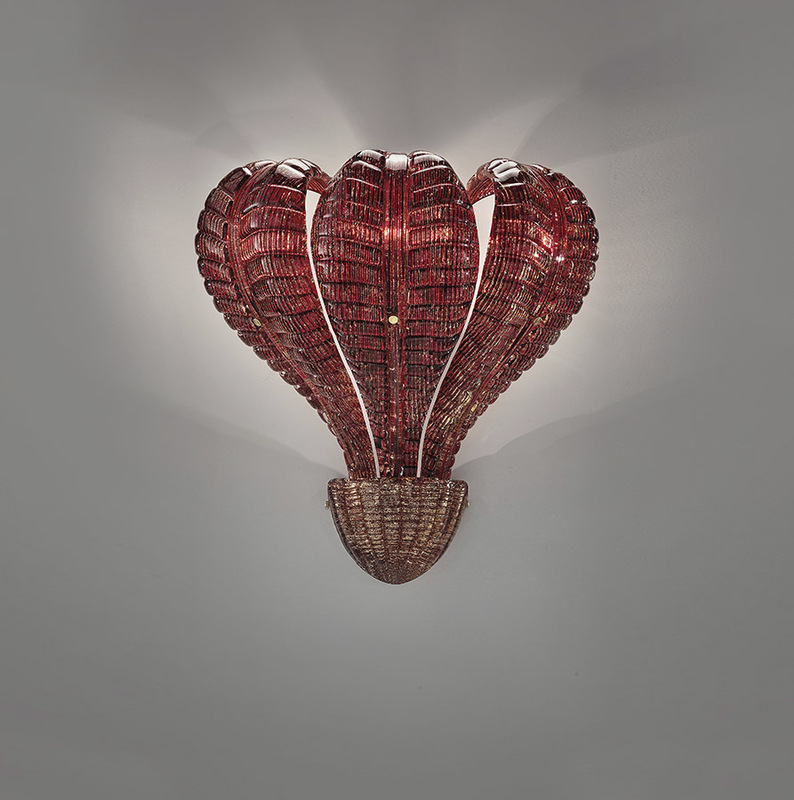 In Indian tradition, as in many others, the snake is considered a symbol of renewal and rebirth for its ability to change its skin without dying. 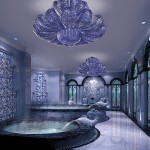 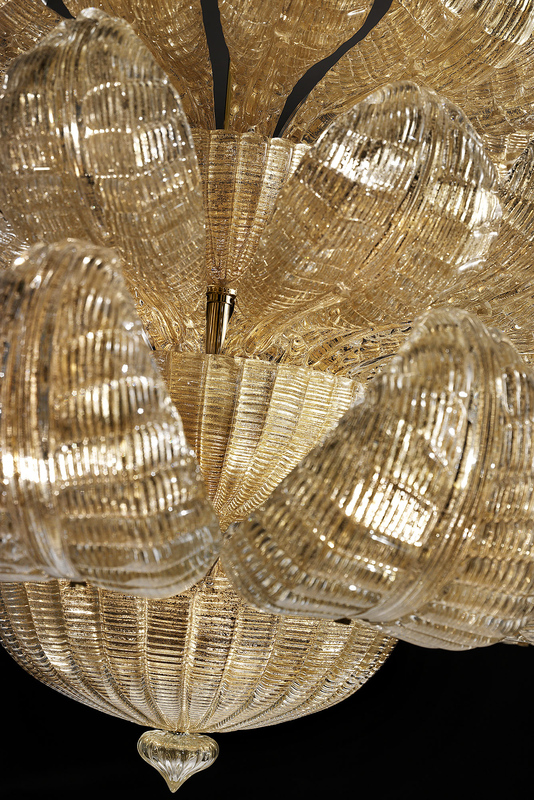 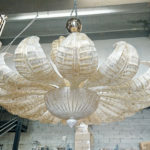 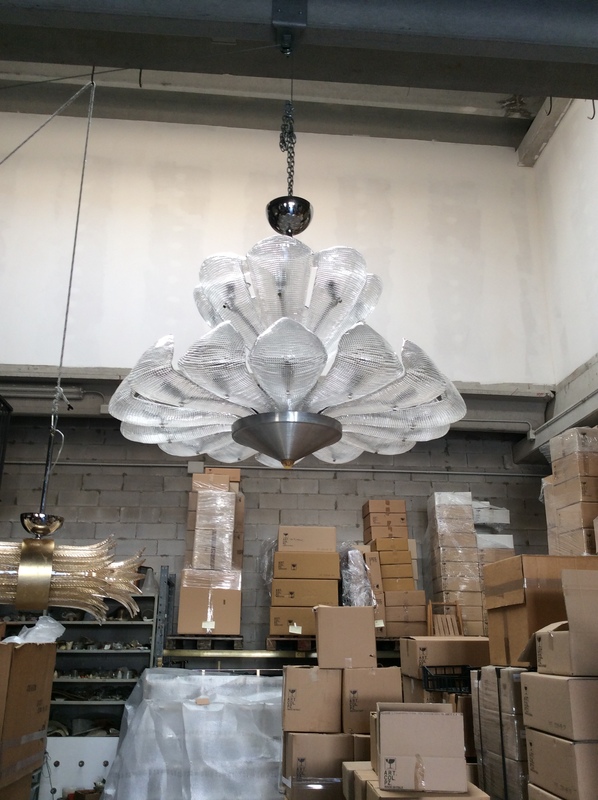 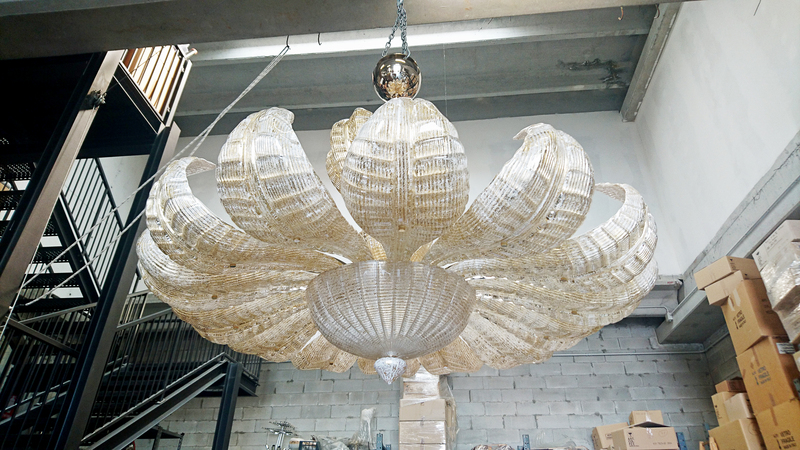 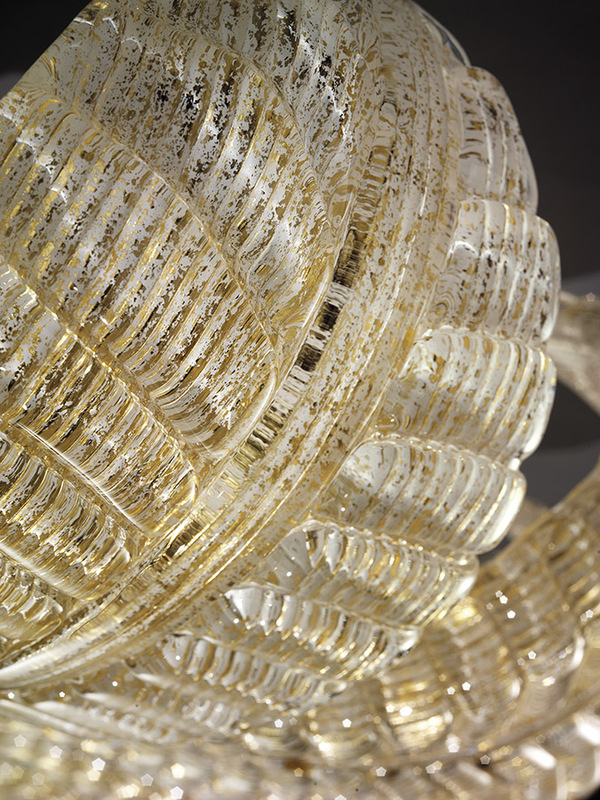 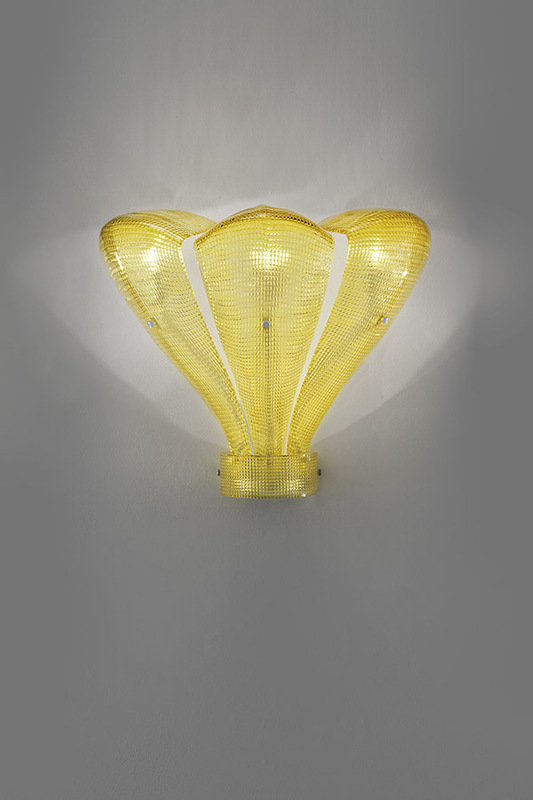 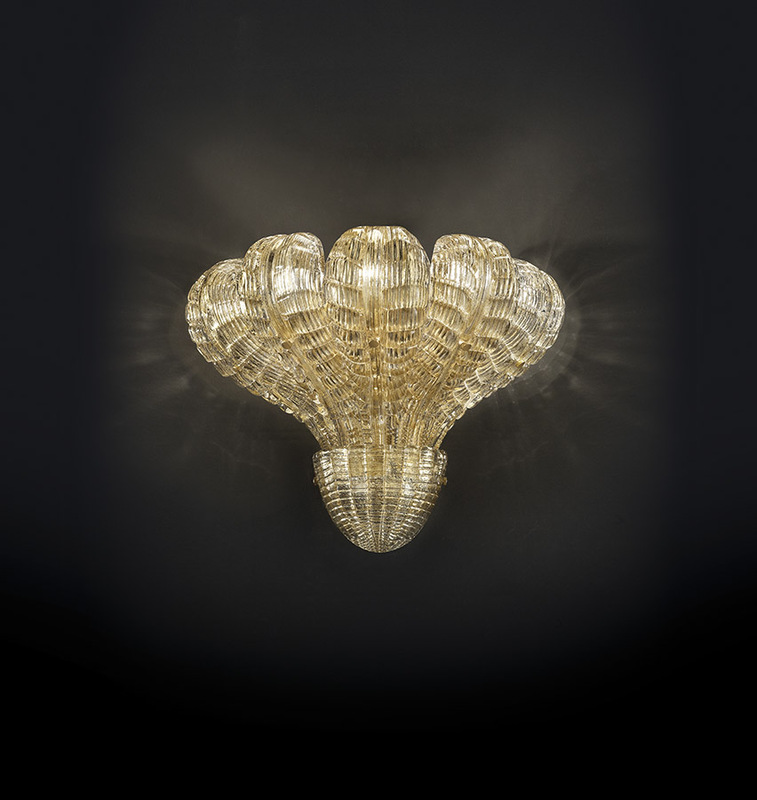 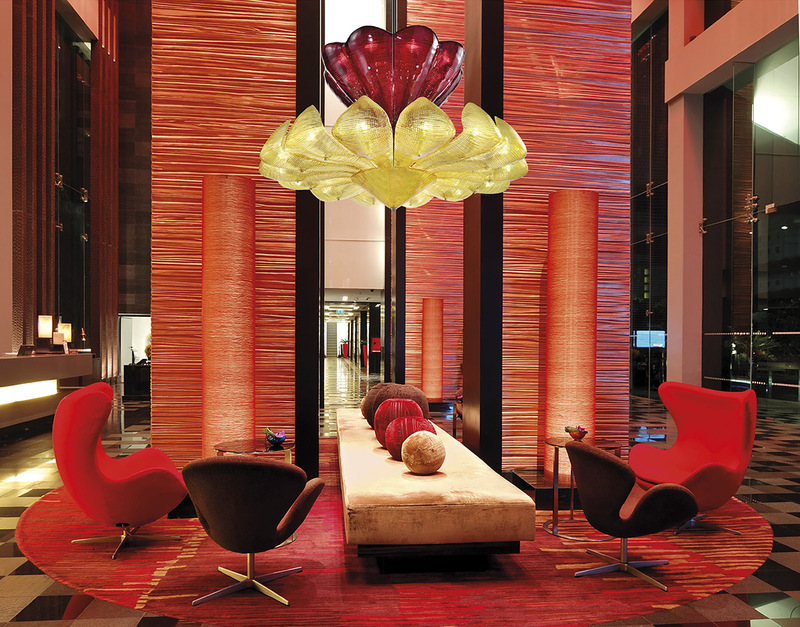 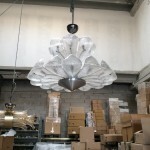 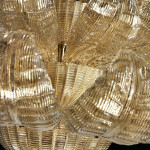 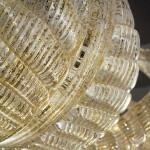 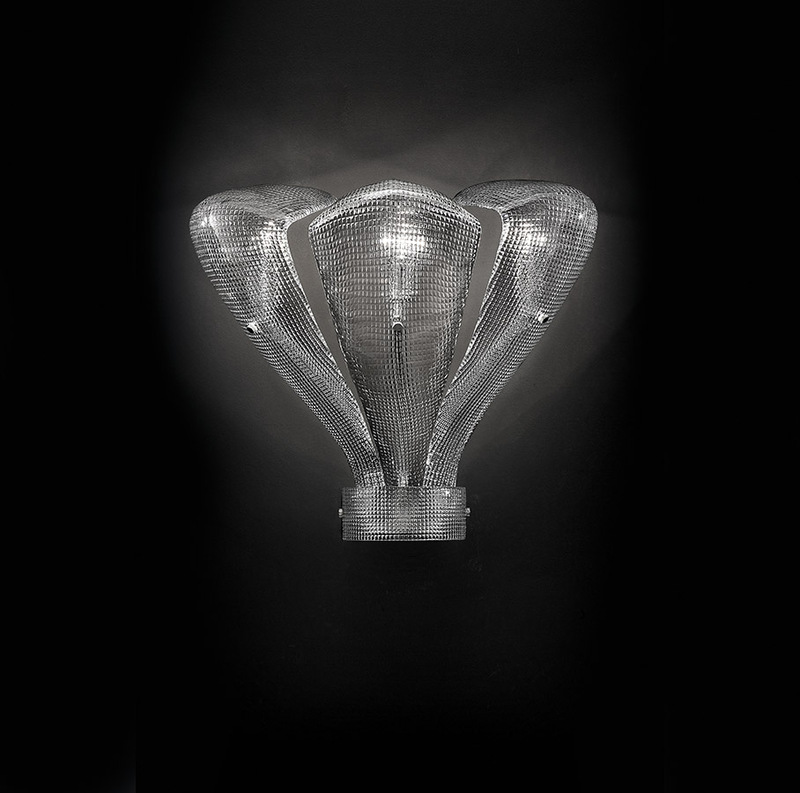 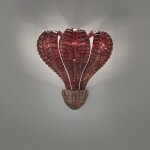 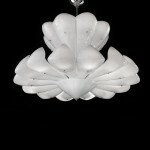 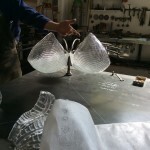 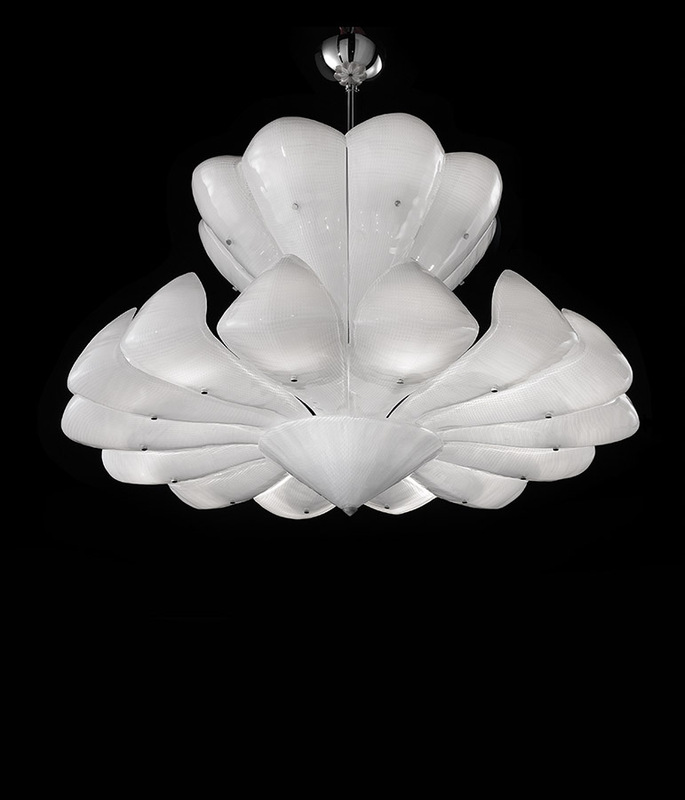 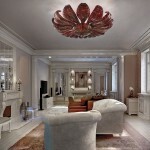 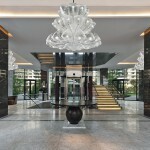 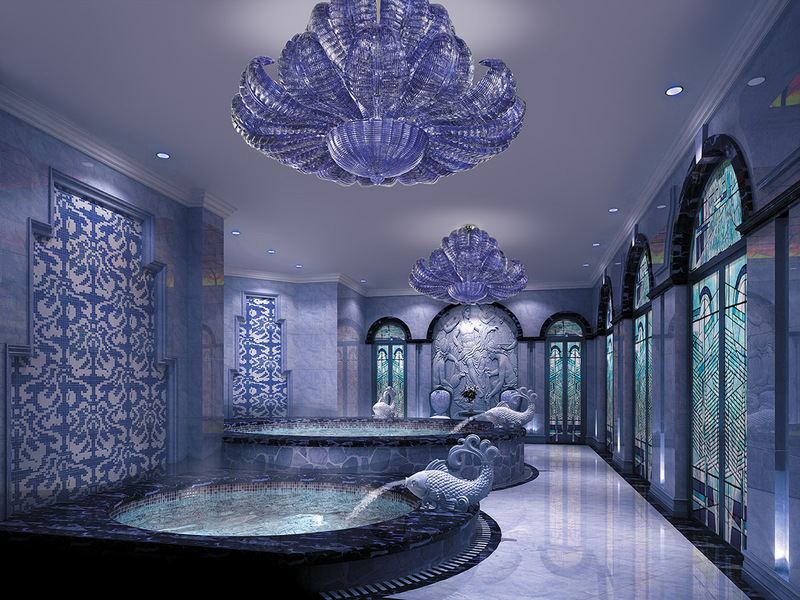 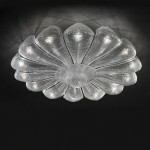 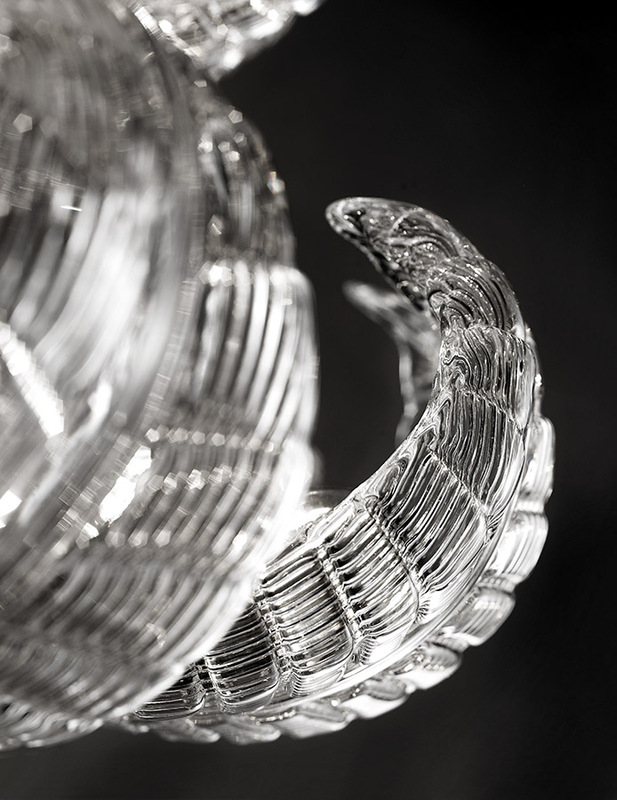 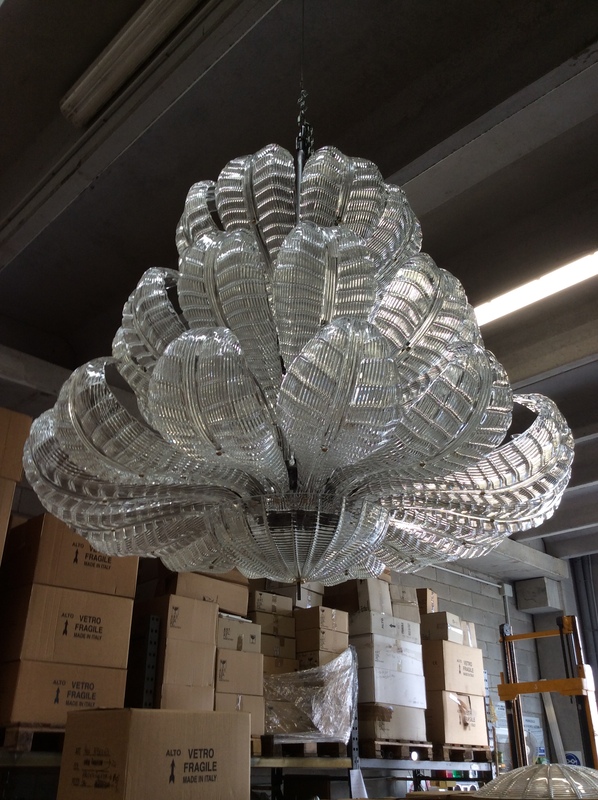 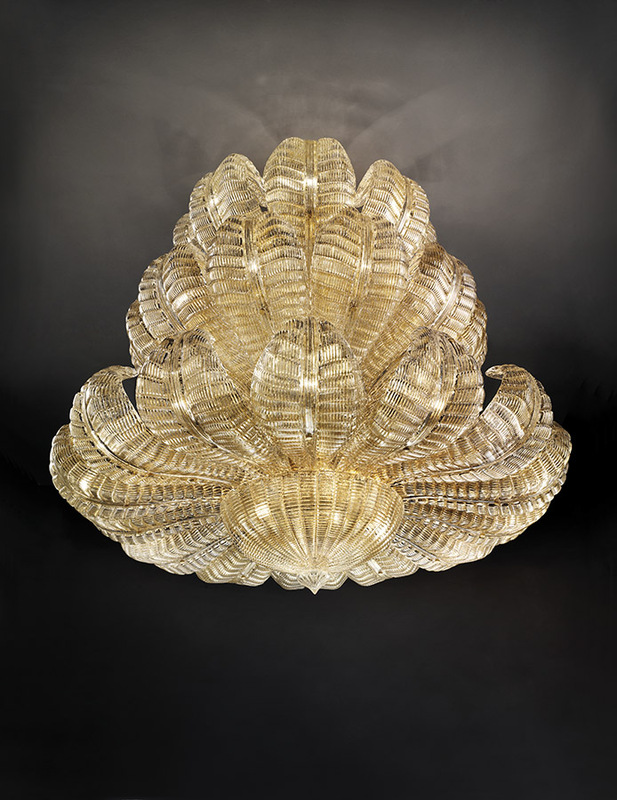 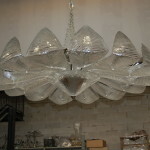 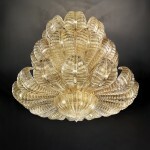 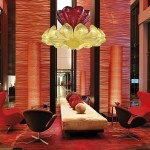 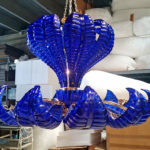 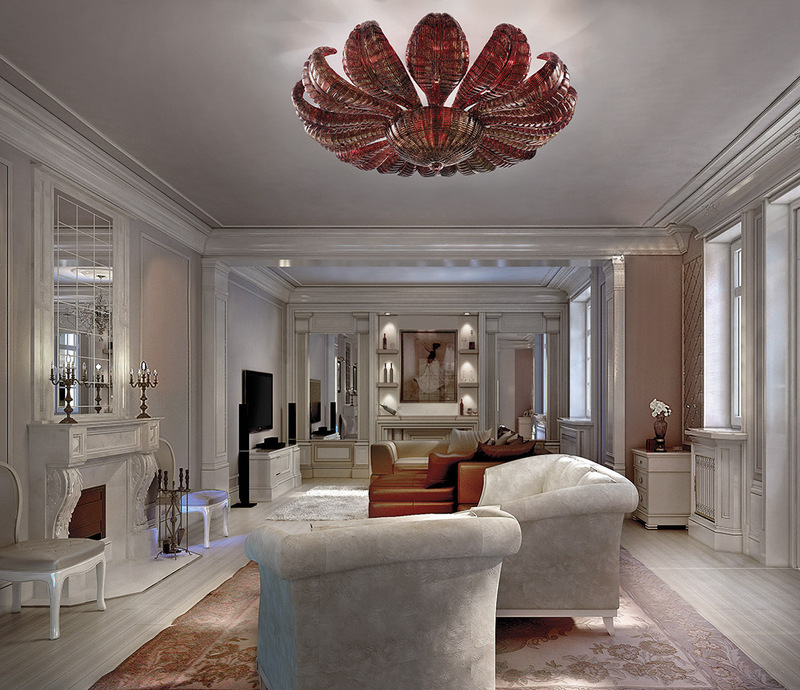 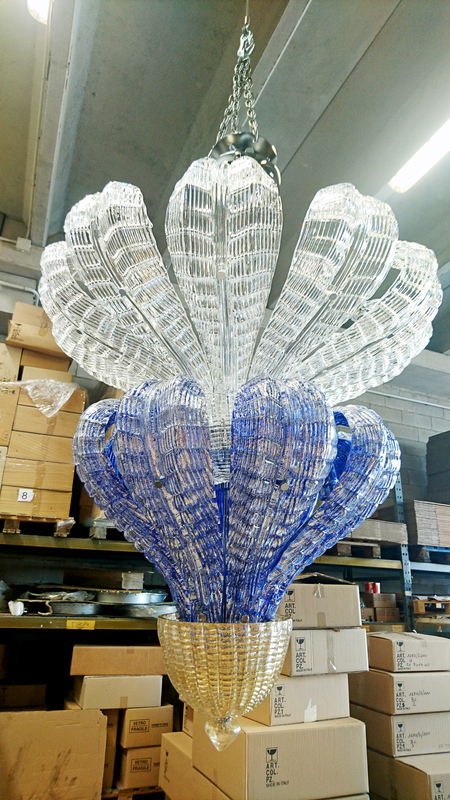 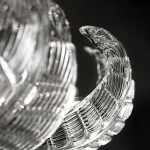 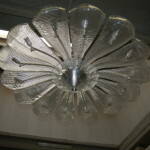 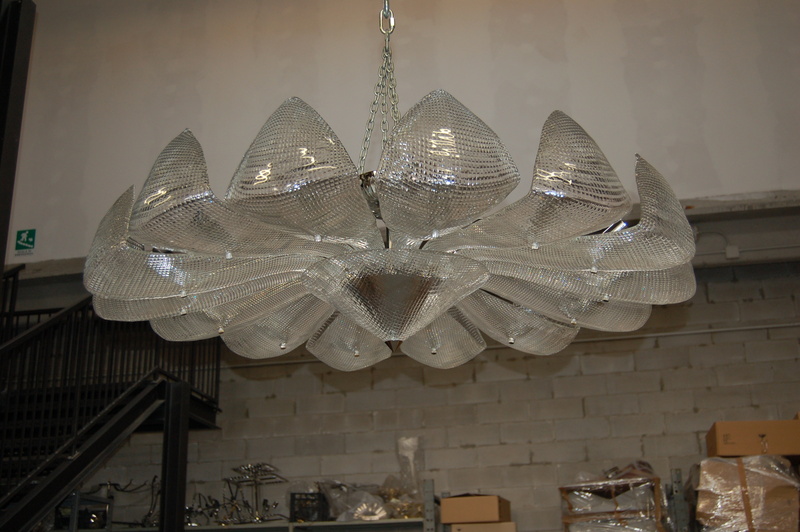 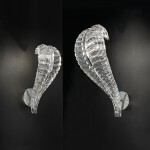 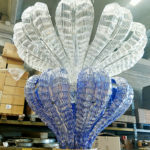 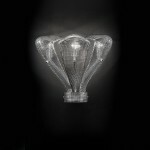 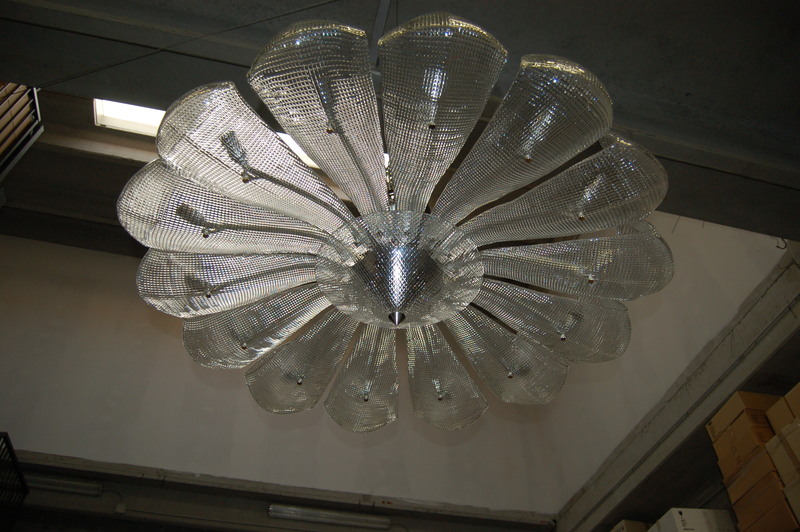 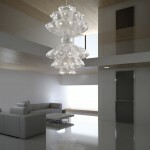 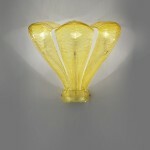 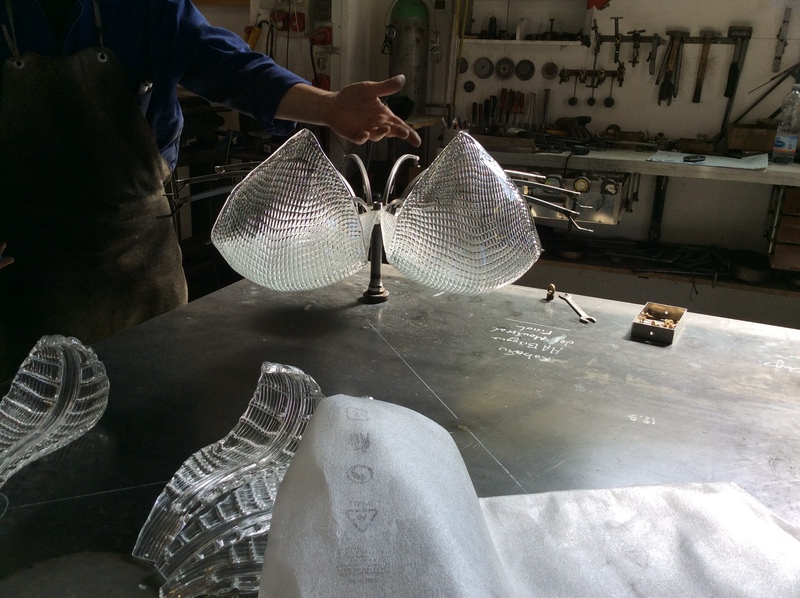 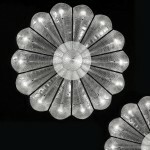 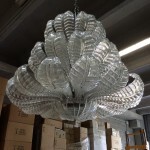 The Naga lamp was commissioned by, and produced for, an important client of Glass and Glass Murano. 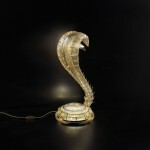 It was inspired by the sinuous movements of a cobra. 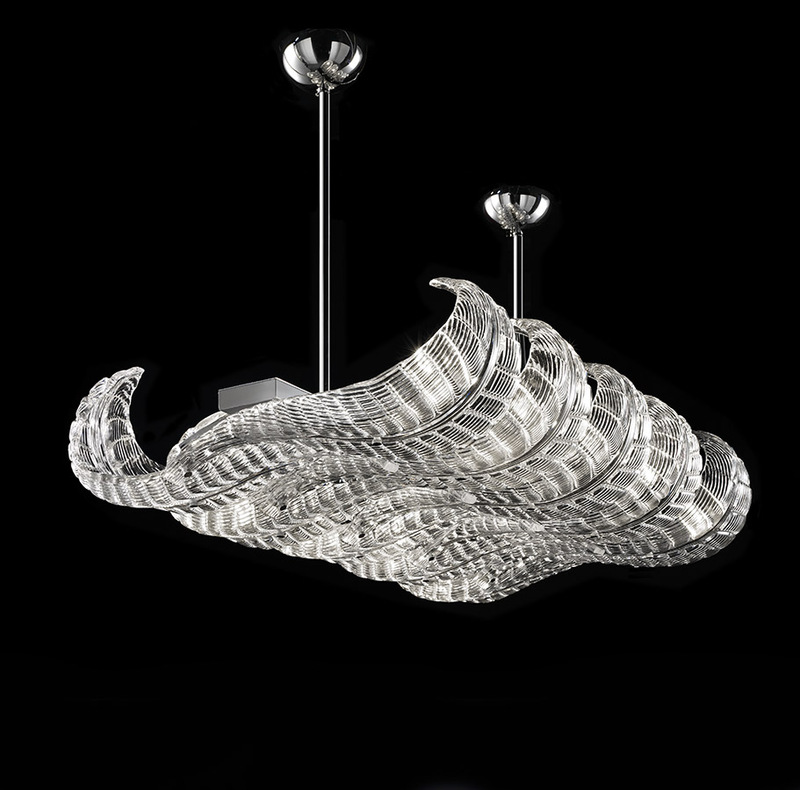 In our interpretation, the dangerous animal loses its material characteristics, leaving an idealized structure, elegant and rich in movement – a sculpture of light. The “lamp serpent” presented an opportunity to create an entire, greatly refined, collection inspired by the “Orient”: Naga 1, which starts off the new catalogue White. 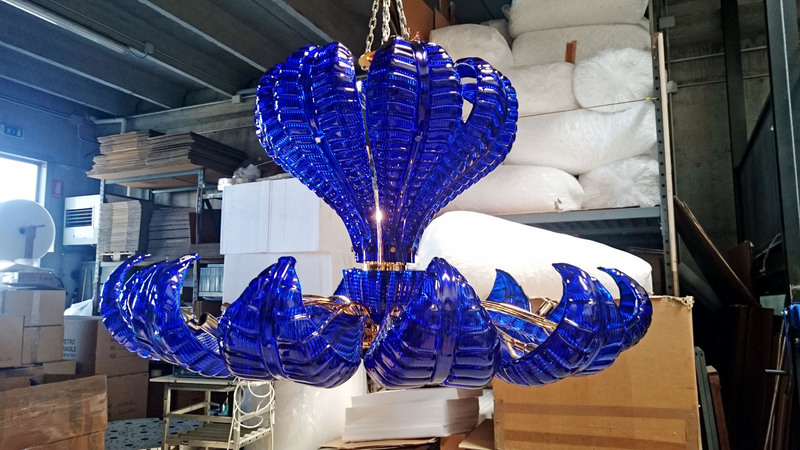 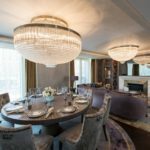 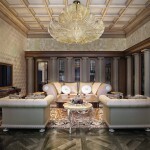 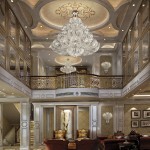 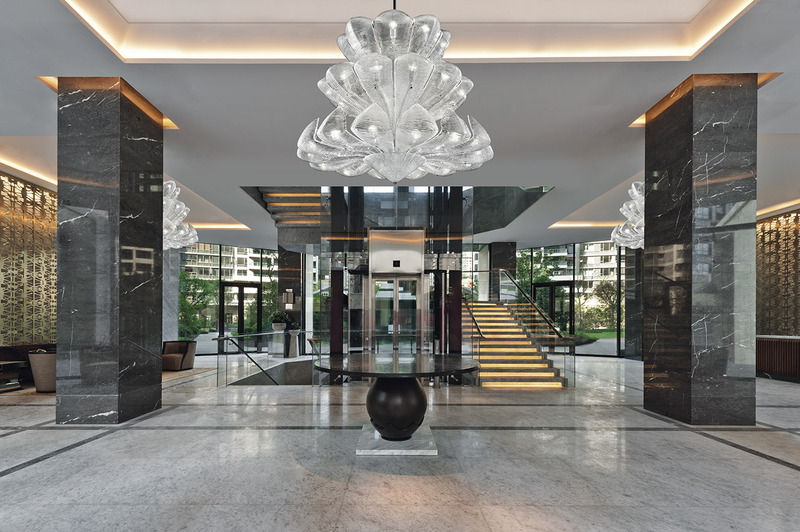 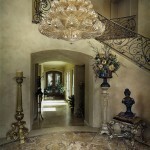 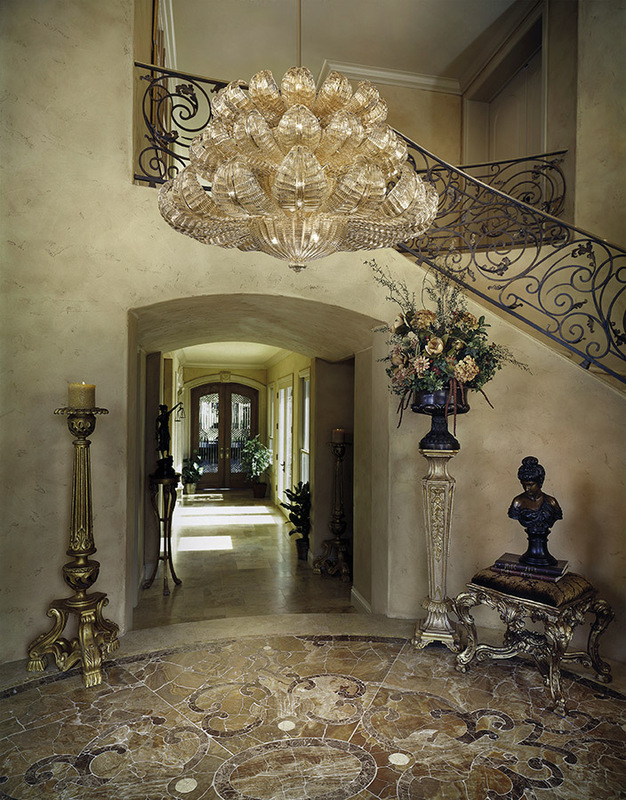 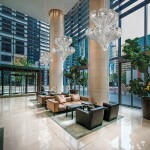 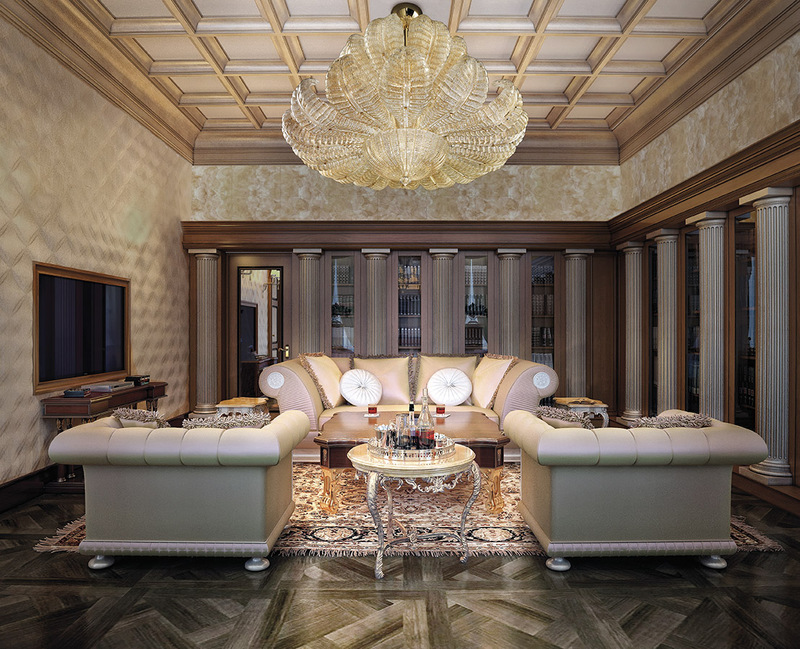 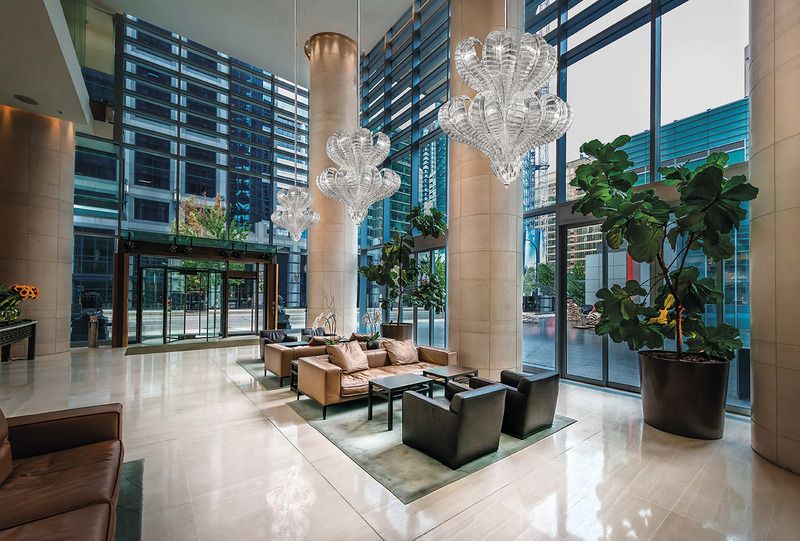 The collection is comprised of chandeliers, sconces, and applique, available from the catalogue in a variety of colors from refined crystal to a rich red-gold or blue-silver. 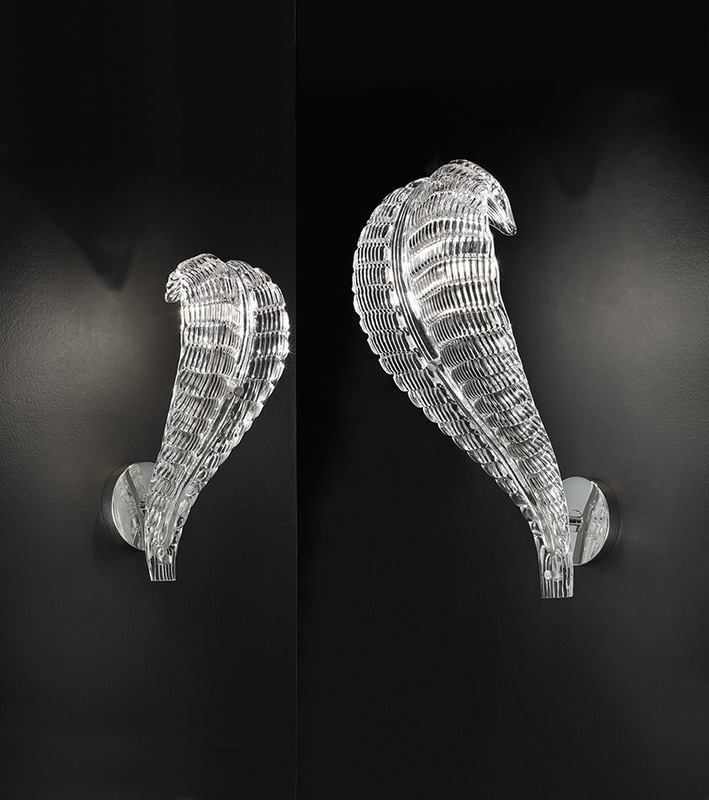 In the collection Naga 2, the forms are rendered even more essential: few lines create objects that are at the same time simple and sumptuous. 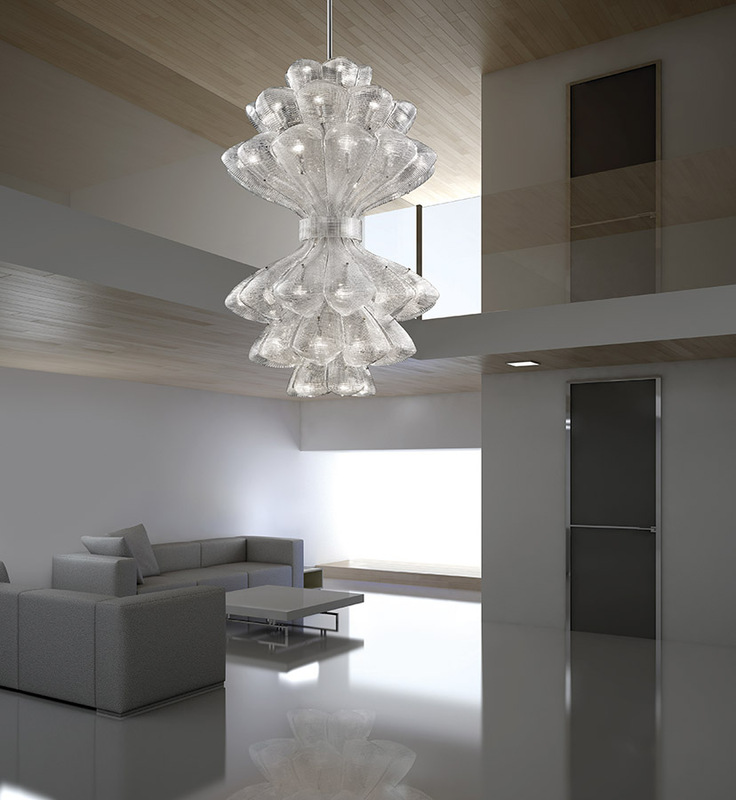 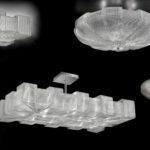 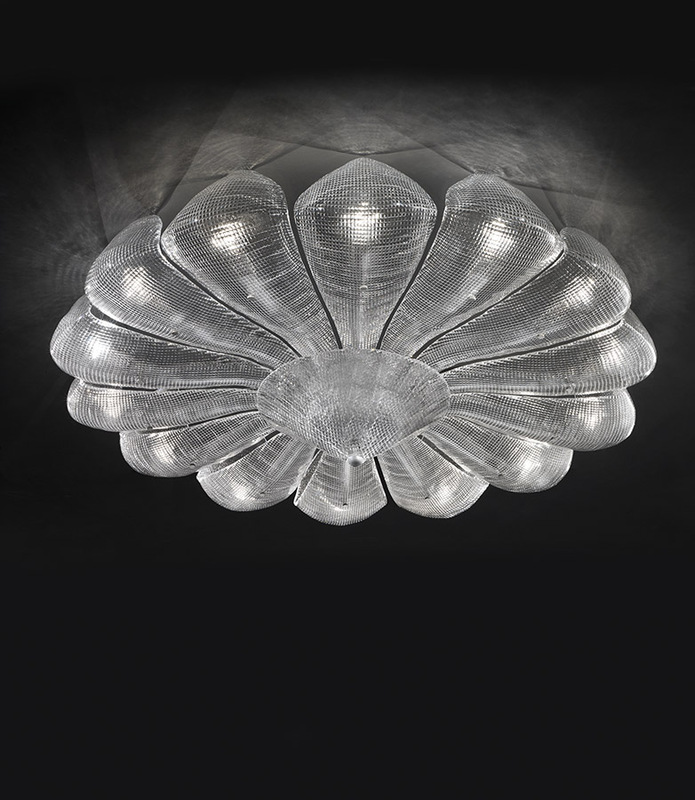 Naga 2 also offers a complete array of solutions for illumination (chandeliers, sconces and applique) available from the catalogue in a variety of colors, simple or incamiciati. 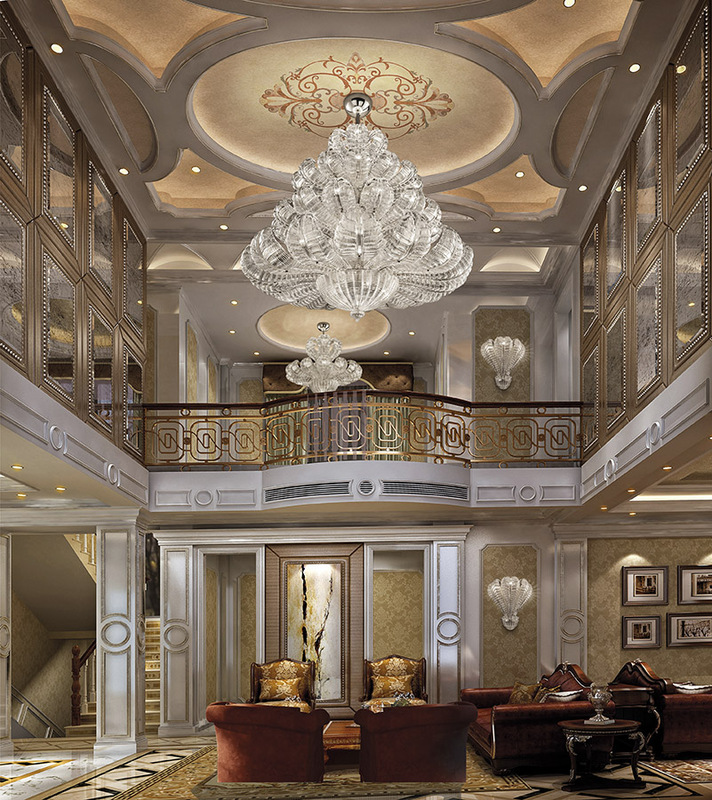 The models that we have created are many and we believe that we can satisfy all interior design needs: smaller scones and chandeliers are perfectly suited for cozy spaces while more ample models, with multiple levels, can help valorize taller spaces.